Peace, privacy and total relaxation in this very spacious, multi living area home self-catering for all needs. Views into the Tuki Tuki River Valley, views northwards to Napier and beyond and views to the beautiful sunsets over the Western Ranges. The large home opens at every turn to the outdoors - large decks with an outdoor fireplace, an inground swimming pool and a lawn large enough for a helicopter to land. Right in the heart of WIne Country and so close to Havelock North Village, the famous Craggy Range Winery is two minutes drive away, as is Black Barn, both with their world class restaurants. 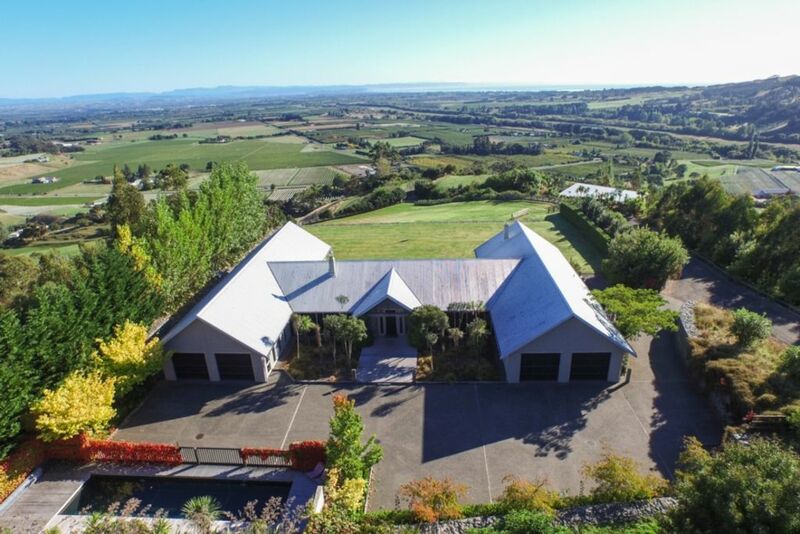 The iconic Te Mata estate at the bottom of the hill and Cape Kidnappers Golf Course just 20 minutes drive away. There is a refundable bond of $500 payable per stay. If required the fold down bed is made up in a separate room - the office- for an additional fee of $50 per night. Our stay at Highcliff Retreat was fabulous. The first thing that hits you when you walk through the front door is the amazing views right across Hawke's Bay. Was breathtaking. It truly is a retreat, quiet, spacious, and sunny. It had a high standard of furnishings and bedding. There were four of us friends that stayed for a weekend getaway to Havelock North, and even though in the country was still close to the village. Highly recommend. We'll be back! An ideal house and location for a large family group gathering such as ours. An ideal house and location for a large family group gathering such as ours. Rooms aplenty for individual needs for example in our case a baby quiet space. The kitchen and laundry were well equipped for a long weekend stay and the welcome basket of goodies was a lovely touch. The beds and bedding were very comfortable and having three and a half bathrooms made life easier for the number of adults and children staying. The views were stunning and the location couldn't have been better.